This Pokémon was first revealed in the CoroCoro issue released in June 2014. This Pokémon is to Mega Evolve from the starter Treecko you receive in game. 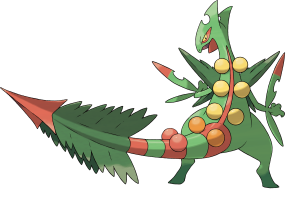 Mega Sceptile can cut off a portion of its tail to fire it like a missile at an opponent. This Pokémon was first revealed in the CoroCoro issue released in June 2014. This Pokémon is to Mega Evolve from the starter Mudkip you receive in game. It gets a boosted Attack stat. 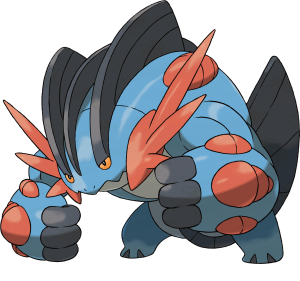 The musculature of Mega Swampert’s upper body has developed immensely, making it look tougher than ever. 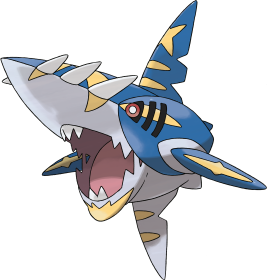 This Pokémon was first revealed in the CoroCoro issue released in October 2014. 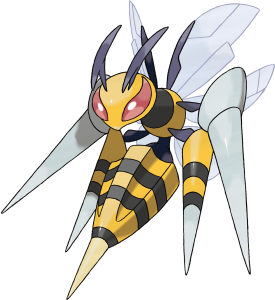 This Pokémon is to Mega Evolve from Beedrill and doesn't change type. Its Attack and Speed is boosted.. This Pokémon was first revealed in the CoroCoro issue released in October 2014. 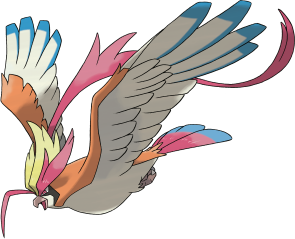 This Pokémon is to Mega Evolve from Pidgeot and doesn't change type. Its Special Attack is boosted.. This Pokémon was accidentally uploaded by the Pokémon website in Korea, and then officially revealed at the Pokémon World Championships. It has boosted Defense and Special Attack. 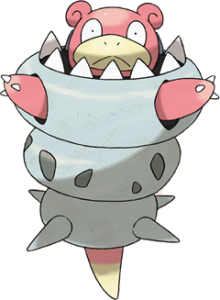 Energy was focused in the Shellder biting Slowbro's tail, and the result was that the hardness of the shell increased and it became an immensely hard suit of armor that can be damaged by no one. When the battle begins Mega Slowbro uses its tail to stand up straight and it propels itself like a spring. Mega Steelix was first discovered in the Japanese version of the Pokémon Omega Ruby & Alpha Sapphire demo. 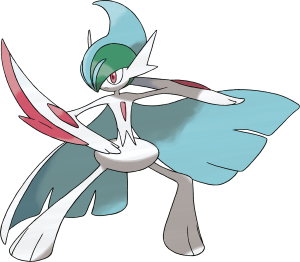 This Pokémon was first revealed in the CoroCoro issue released in September 2014. It gets increases in all stats. In Pokémon Alpha Sapphire, it is used by the Team Aqua leader, Archie.. 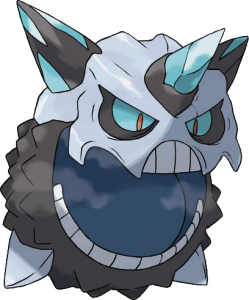 This Pokémon was first revealed in the CoroCoro issue released in September 2014. It gets increases in all stats except Speed which has a decrease. 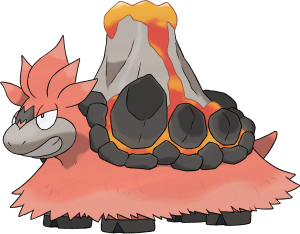 In Pokémon Omega Ruby, it is used by the Team Magma leader, Maxie. This Pokémon was first revealed in the CoroCoro issue released in August 2014. It gets an increased Special Attack & Attack stat, as well as a boosted Defense. 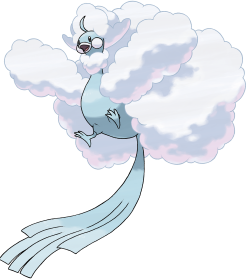 Mega Altaria's body is enveloped in its unique feathers, which glimmer with an iridescent sheen. They have grown even larger as a self-protective measure. 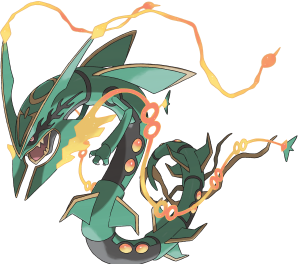 It sings with a voice that is even more beautiful than before it Mega Evolved. It has a sociable personality and is not timid. Mega Glalie was first discovered in the Korean version of the Pokémon Omega Ruby & Alpha Sapphire demo. This Pokémon was first revealed in the CoroCoro issue released in August 2014. It gets a highly boosted Defense stat. Its two wings fuse together, becoming a single huge wing in a crescent shape. 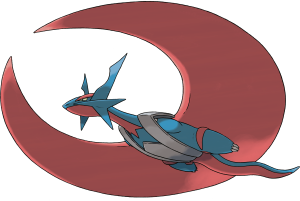 When flying at high speeds, this wing becomes a great blade, slicing through anything loitering in Mega Salamence's way. This Pokémon was first revealed in the CoroCoro issue released in July 2014. It is used by the Champion of the region, Steven Stone. Mega Metagross also has a greatly increased Speed stat, with additional increases in its Attack, Defense, Sp. Atk, and Sp. 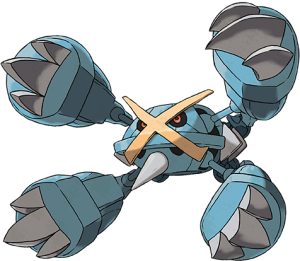 Def, making Mega Metagross primed for both offense and defense. 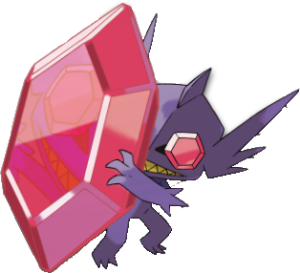 This Pokémon was first revealed during a livestream of Pokémon Omega Ruby & Alpha Sapphire. 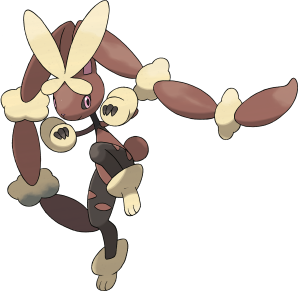 Towards the end of the livestream, Junichi Masuda revealed this Mega Evolution. 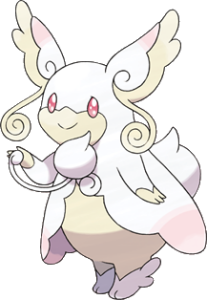 It is said that the reason that it is a Mega Evolution, and not a Primal Reversion, will be revealed in-story. 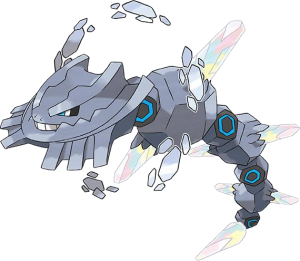 It is also said to Mega Evolve in a way different to other Pokémon. This Pokémon was first revealed in the CoroCoro issue released in August 2014. It gets a highly boosted Attack & Speed stats. A full-power strike from its ears could crumple solid steel plates. Its personality transforms and becomes extremely aggressive, which often leaves its Trainer feeling bewildered by the change. This Pokémon was accidentally uploaded by the Pokémon website in Korea and then revealed at Gamescom. It has boosted Defense and Special Defense. It makes and releases from its body a Heal Pulse that cuts hostility. Its Heal Pulse is immensely strong and can make anybody calm. Whoever comes into contact with its second feeler (the one on its chest it sometimes holds in its hand like a stethoscope) falls into a deep slumber. This Pokémon was first revealed in the CoroCoro issue released in June 2014. 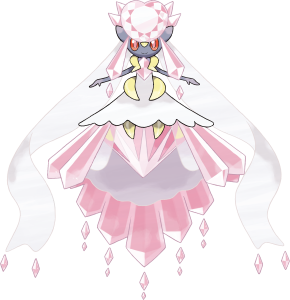 This Pokémon is to Mega Evolve from the Mythical Pokémon, Diancie. The impurities upon its body’s surface have fallen away, and it sparkles so brilliantly when reflecting light that you cannot look directly at it. The diamond on its head measures over 2,000 carats.